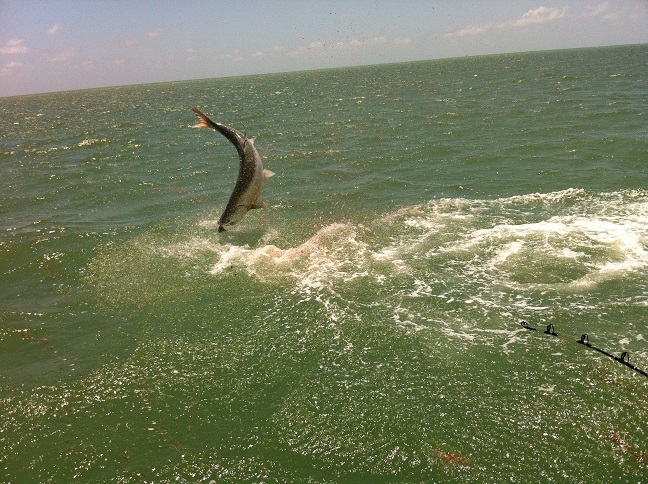 ← 4/12/13 Tarpon fishing stays hot! The tarpon bite continues to hold strong here fishing in april in islamorada. We fished the backcountry today and caught 6 out of 13 big tarpon. A variety of bait, mullet, ladyfish, and even one on a crab while we were drifting trying to catch ladyfish and trout. The forecast is the same the next several days so hopefully the fishing will stay strong. Last night tarpon fishing islamorada we caught 2 out of 8 fish, or you could say 3 if you count the one that jumped INTO the boat! Luckily he flopped right back out and broke off before he did any major damage. Tarpon fishing in Islamorada is about as good as it gets right now, I have some evenings available – lets go fishing!